Harri Tuominen (born in 1956) has been working in radio since 1982 in several, mostly in music related positions, and mostly in the public service company, The Finnish Broadcasting Company (Yleisradio). In 1995-2002 he worked as the managing editor of music in Finland's market leader radio channel Radio Suomi (Radio Finland). At the moment he has a weekly World Music programme called "Harri Tuomisen maailmanmusiikkiohjelma" ("Harri Tuominen World Music Programme") in Yleisradio's nationwide Yle Radio 1 Channel. In the programme he is monitoring the WMCE list. He is also making "Jazz Club" programmes for Yle Radio 1. His interest in World music artists dates to the beginning of the 1970's. 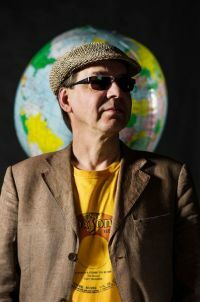 In 1988 he visited The Womad Festival in Cornwall GB and wrote the first World Music articles in the Finnish music press. In addition to Europe and U.S.A. he has been making music related trips to Cuba, Jamaica, Guadeloupe, Senegal, Egypt, Thailand, Australia and Vietnam. During the years he has been interviewing dozens of world music artists for radio and press. At the end of the 1970's he used to play the electric bass guitar in Finland's first reggae band. His education is Master of Social Science.